(Cary, NC) — Hemera Financial Solutions, LLC, together with family, friends, business partners, and colleagues, recently wrapped up the third annual Bowl Away CF (Cystic Fibrosis). Since the event’s inception, $81,273 has been raised for the Cystic Fibrosis Foundation, funds used to help make advances in cystic fibrosis research and care. Individuals interested in taking part in the event are asked to raise $100 in donations. Teams (up to 7 individuals) can secure their own lanes for $300 in donations. Details for the 2014 event will be announced in the upcoming weeks. 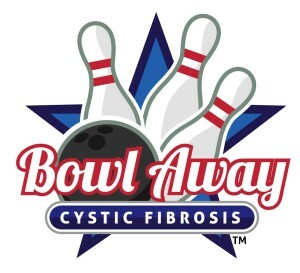 To get involved or to make a donation, please contact Ray Petrino at bowlawaycf@gmail.com. Cystic fibrosis is a life-threatening genetic disease that affects 30,000 adults and children in the United States and 70,000 people worldwide. Fifty years ago, most children with CF did not live long enough to attend elementary school. Today, the median predicted age of survival is 37 years old. The longer life expectancy has been made possible by donations that develop cystic fibrosis drugs and treatments.